Justin Gillman shares his views on Father O'Leary and the challenges of portraying a Catholic priest, while not being Catholic. Can you tell us a little about your character? What do you think is his/her best and worst quality? Father O'Leary is definitely not your archetypal Catholic priest - he's young, he's hip, he loves it when babies cry during his sermons - but he is WAY in over his head when his small community is thrust into the national spotlight. He truly thinks he knows it all and is prepared for the spiritual battles ahead, but his beliefs are tested over and over again during Enter the Roar, and it may surprise you to see how he handles it all. I love him because he is so human, so relatable, and so darn charming! 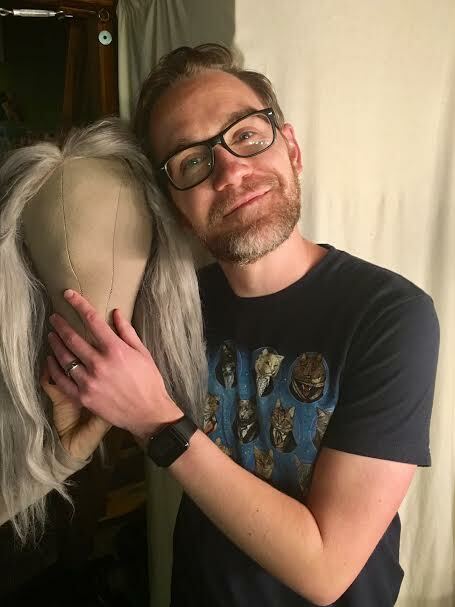 Justin Gilman gets friendly with Eva's wig for No Coast Road. The whole trilogy is a masterpiece IMHO, but the themes of getting lost, being found, and memory in No Coast Road stayed with me long after my first read. Martin McDonagh's The Pillowman (The Breadbox 2015). Dir. Ariel Craft. 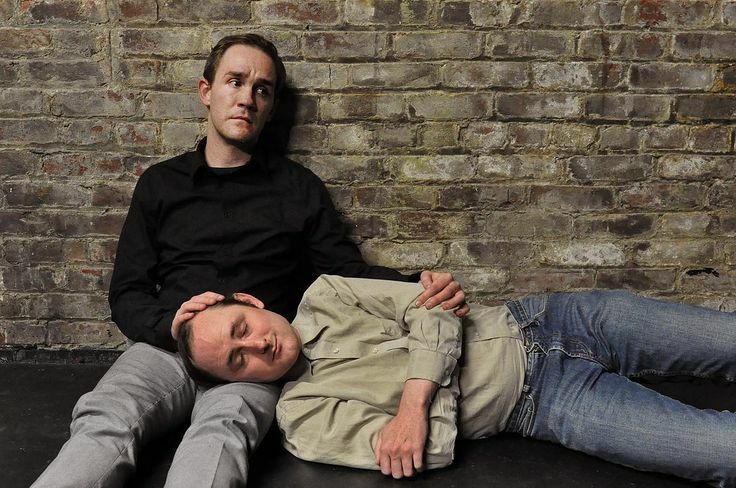 Justin Gillman (Katurian) & Peter Warden (Michal). Photo by Alandra Hilema. I was raised Presbyterian and recently converted to Judaism, so adding Catholicism to the mix has been both rewarding and extremely challenging! But since I have had such a long and personal struggle with faith and church, it is actually a pleasure to get to flesh out those struggles through Father O'Leary's journey. 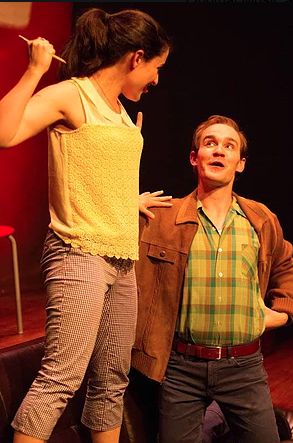 I am most proud of getting to play Giovanni in the Breadbox's adaptation of 'Tis Pity She's a Whore in 2013 because it was written by my future husband (and future NYU Law School grad), Oren Stevens! Getting to play Martha in Who's Afraid of Virginia Woolf would be a dream come true, so let's make that happen! What have you seen/read (shows, concerts, movies, books, art) lately that really spoke to you or changed you? I am a crazy Peak TV fanatic, and will watch anything I can get my hands on. Currently, I am rewatching BBC's Broadchurch to help me get a better sense of how a small, quiet town is upended and thrown into the spotlight after a tragedy strikes. So relevant!